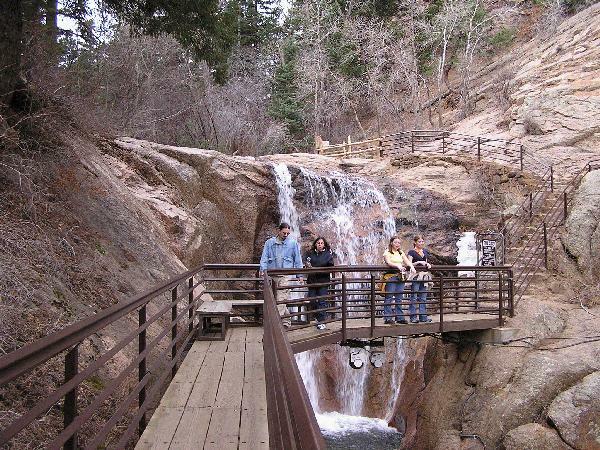 Directions: From I-25 take exit 141 (Manitou Springs) near Colorado Springs and turn left on 8th Street to Cheyenne Boulevard. 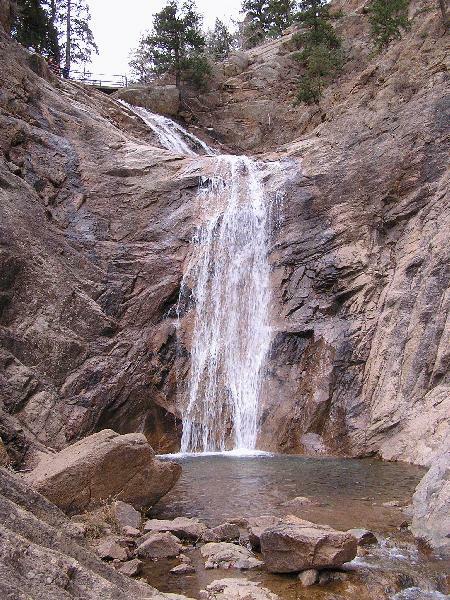 Stay on Cheyenne Boulevard, then bear right to the turnoff to Seven Falls. 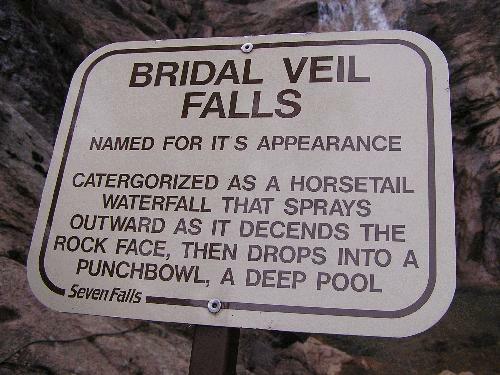 There are many signs along the way. 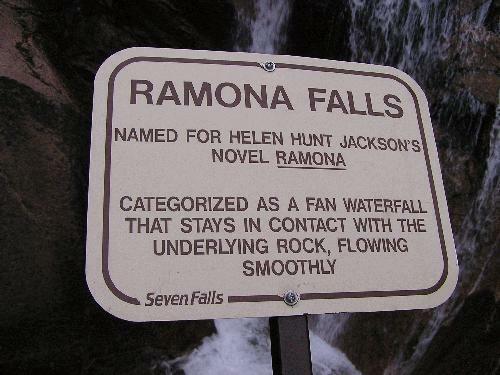 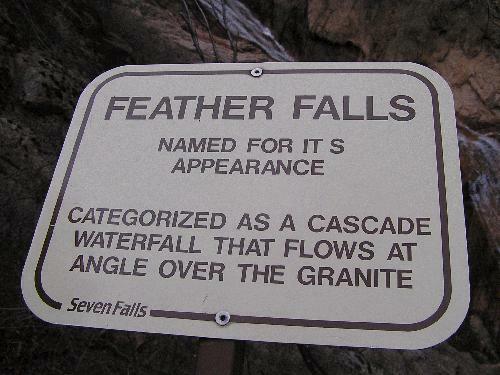 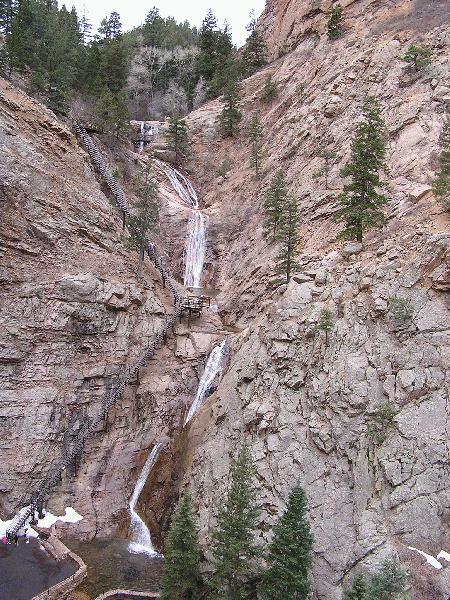 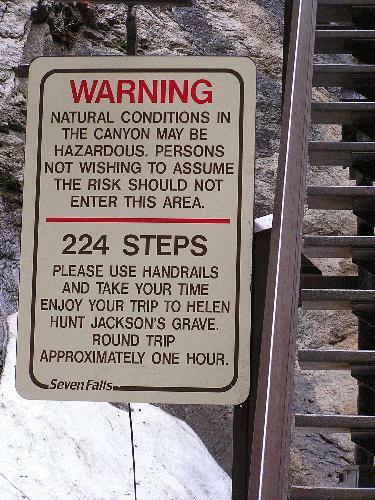 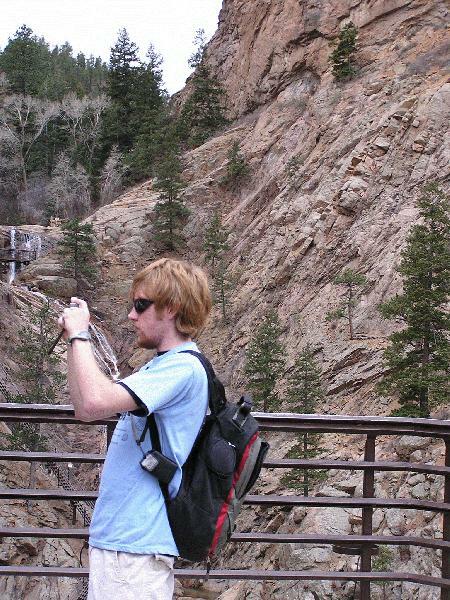 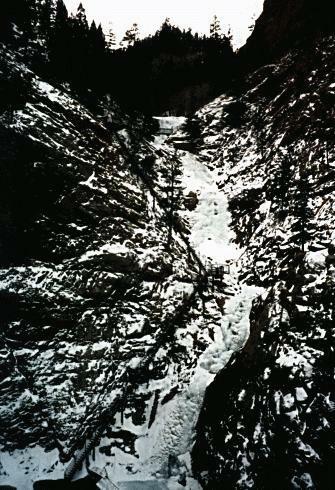 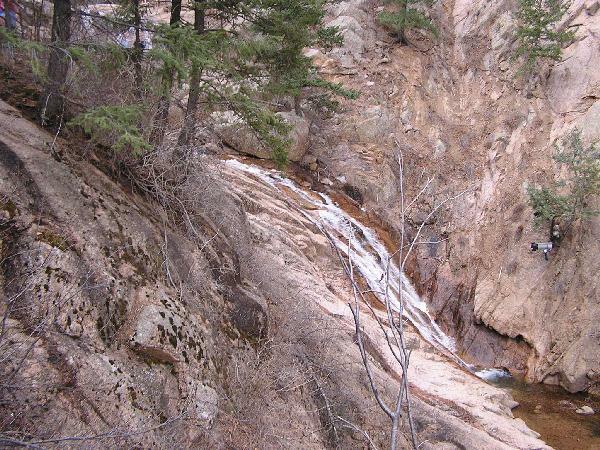 Notes: I visited Seven Falls several times, the most recent being March 24, 2004, which is when I took the photos above and below. 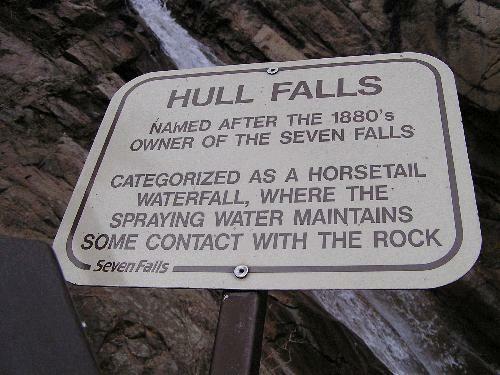 From the parking area it is just a short walk to the bottom of the falls. 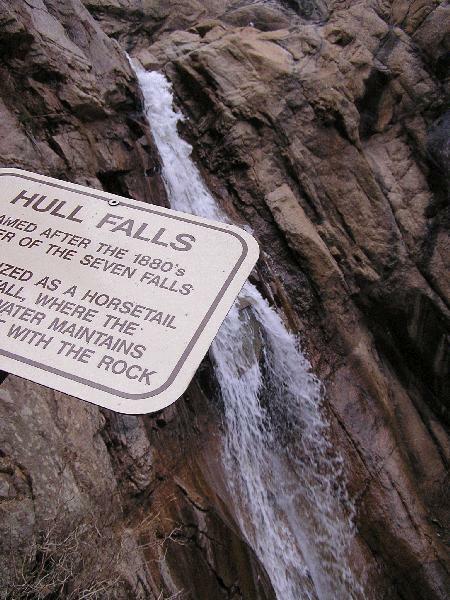 You can walk up the 224 steps to the top of the falls, or you can ride up in an elevator to a viewing platform to get a view of the total falls, shown in the last photo above. 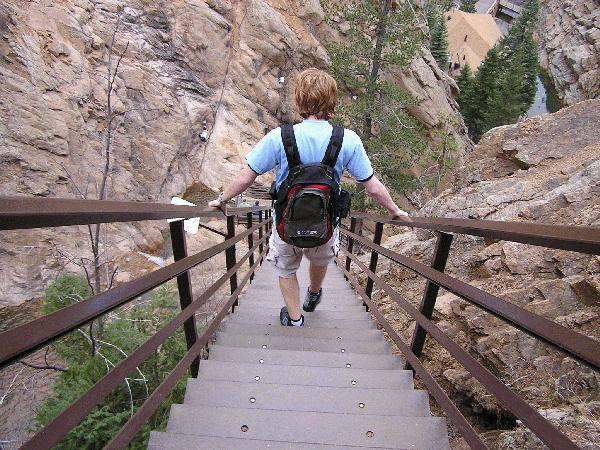 Each of the seven individual leaps has a name, which is placed on the rail as you climb the steps along with an explanation of why it was given that name. 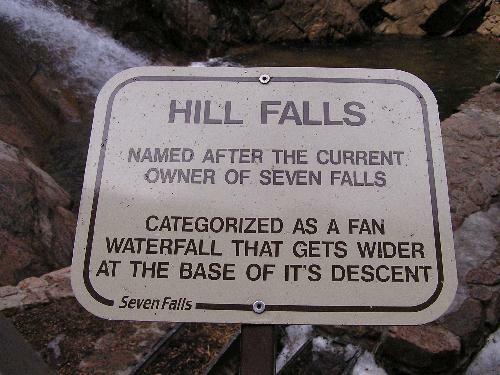 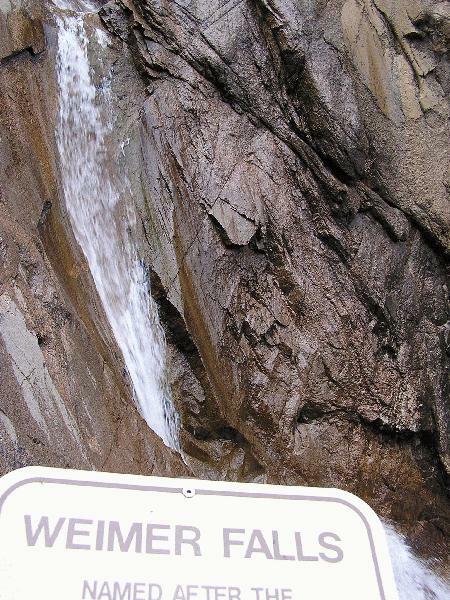 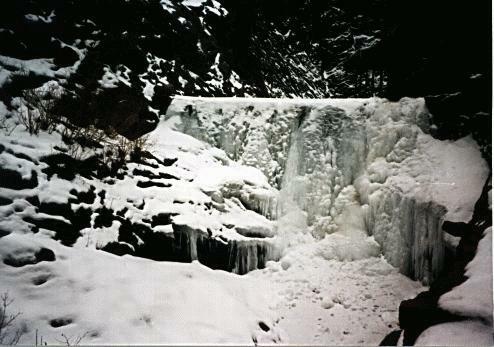 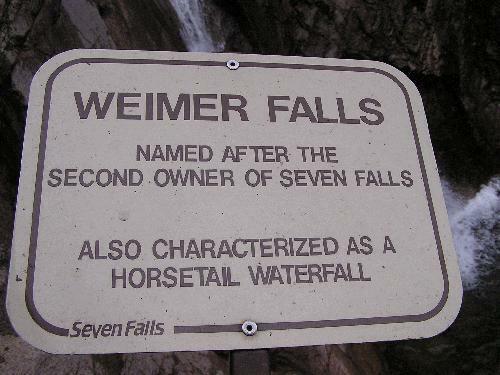 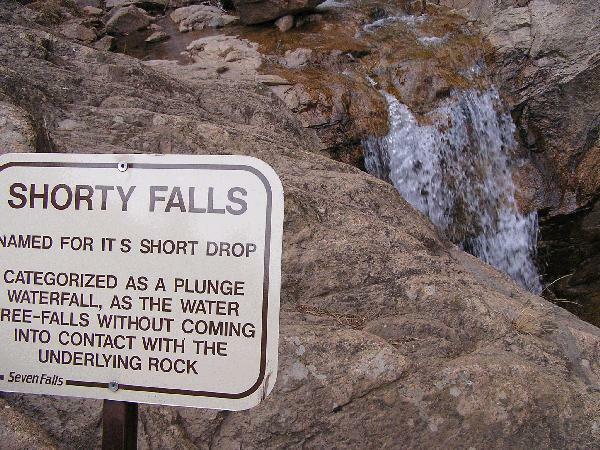 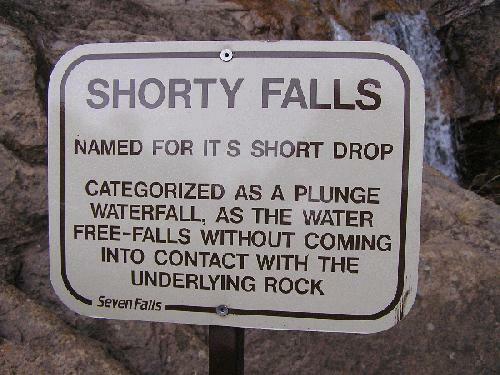 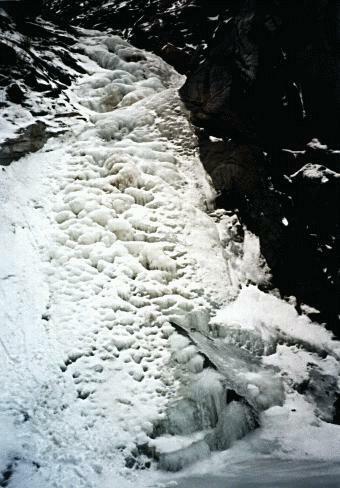 Below are each of the signs and the falls starting from the top and working down.